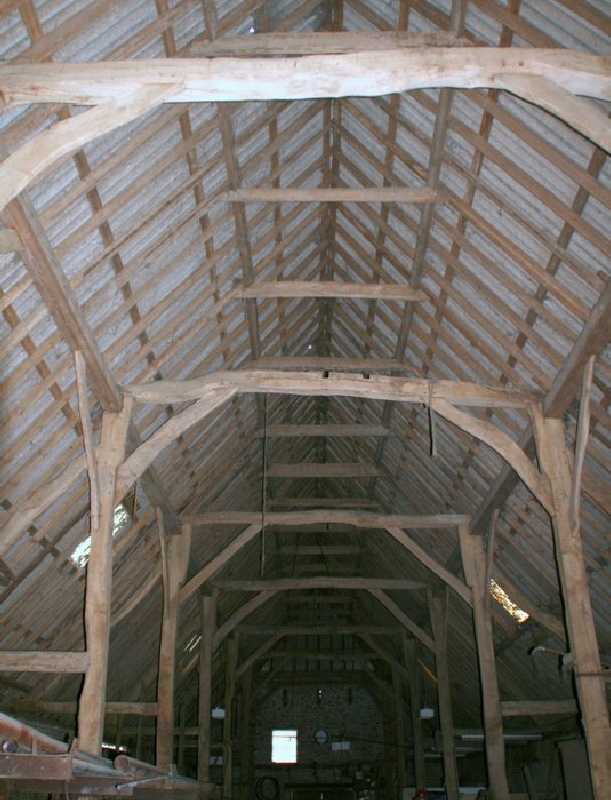 This was another barn I researched through “Images of England”, before visiting it on a barn-hunting holiday in Kent. I was fortunate enough to meet the farmer who was pleased to show off his barn. 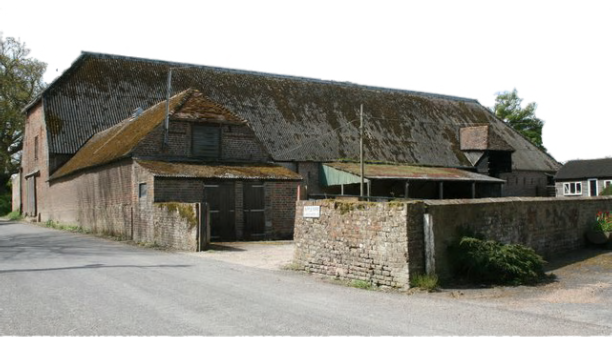 It is an eighteenth century barn, built of brick. Inside it has eight bays with aisles on both sides. It has two wagon porches on the east side. It has a corrugated asbestos roof which has helped to preserve the timber frame within.